It was fun investigating around the Royal Mile in Edinburgh using Diana Gabaldon’s Voyager as a guide (see Outlander Exploring on the Royal Mile). 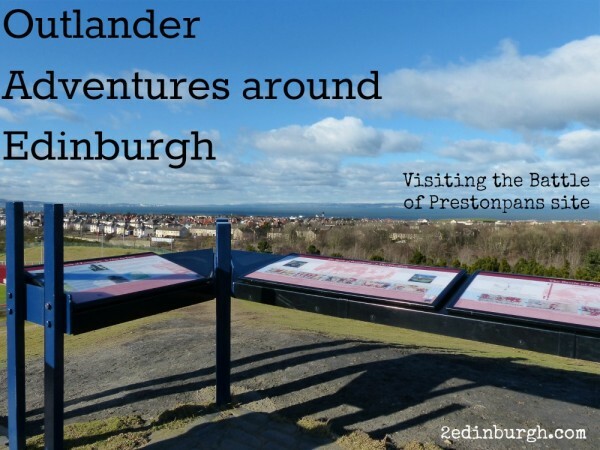 So for the next adventure I’ve gone exploring out to East Lothian, down the coast to the east of Edinburgh to find out more about The Battle of Prestonpans, which features in Dragonfly in Amber, the second book in the Outlander series. 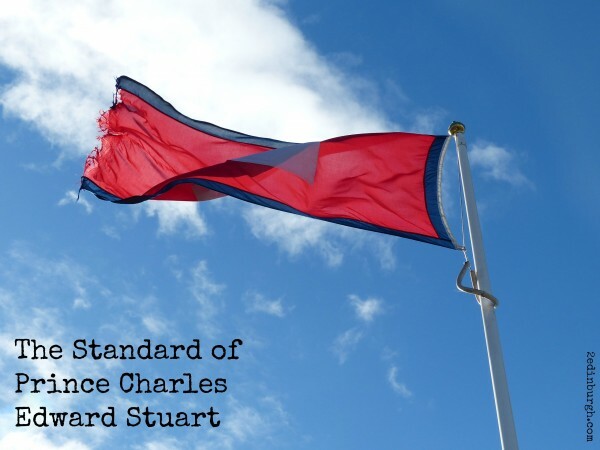 The Battle of Prestonpans was fought in September 1745 during the third Jacobite rising, an attempt by Prince Charles Edward Stuart to reclaim the throne of Britain on behalf of his father, James Francis Edward Stuart. 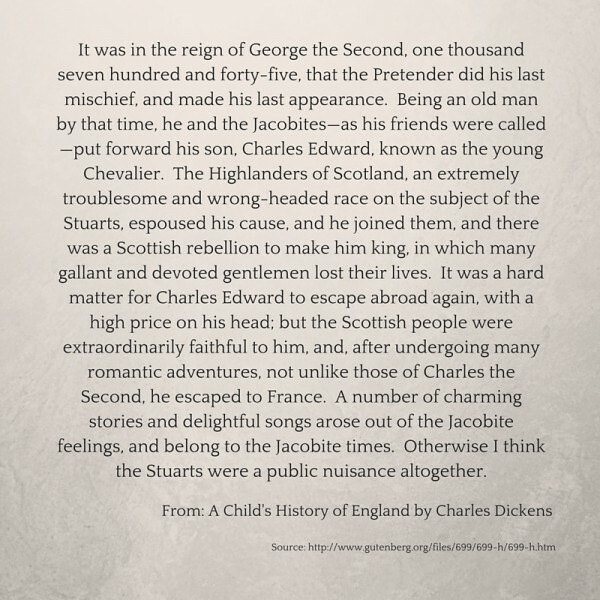 Jacobites were so named after the supporters of James VII of Scotland and II of England, who ruled Britain from 1685 – 1689, but was deposed as he was a Catholic. 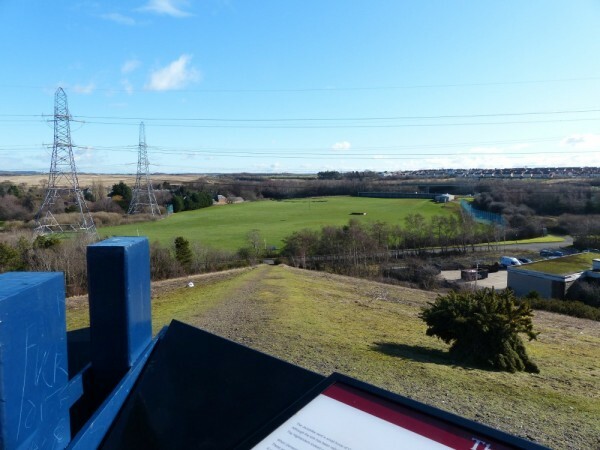 Follow the signs from the monument, directing you towards the Battle Byng – a raised mound formed from an old coal bing which has been shaped so that you can climb up the pyramid structure, and have views over the battlefield from the top. You’ll also find signs there giving more information about the history of the battle and surrounding events. It’s also worth it for the views of the surrounding countryside. 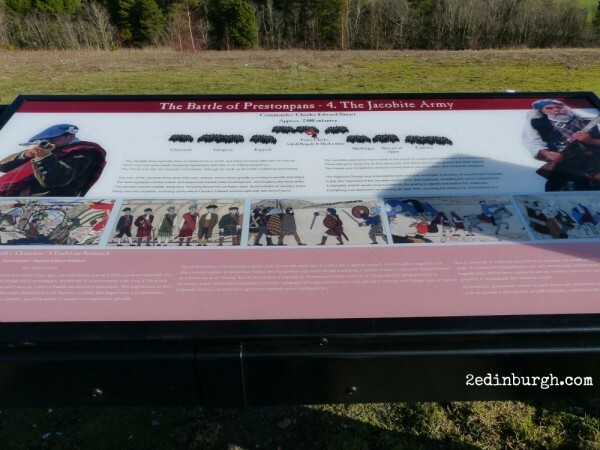 You’ll notice on the current sign-boards that there are many images of scenes about the Battle which have been embroidered as part of a huge project organised to commemorate the Battle of Prestonpans. Prestonpans styles itself as “Scotland’s Murals and Tapestry Town”, and the project to embroider the 104 panels involved more than 200 embroiders and over 10 million stitches! If your interest in finding out more has been pricked, then continue your adventures around the area. Find the path which exits the Battle Byng to the North West, and continue along the little footpath with the running track to your left hand side. 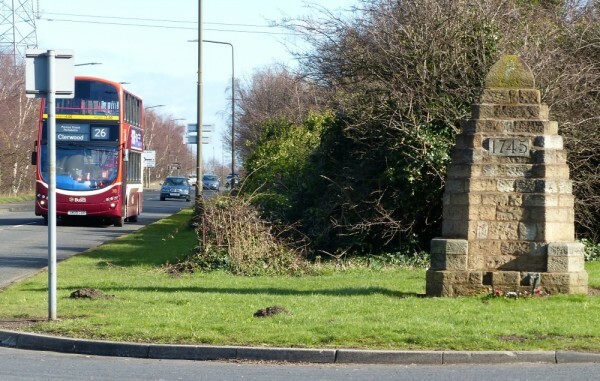 This will take you past Bankton House and towards the Railway Station. 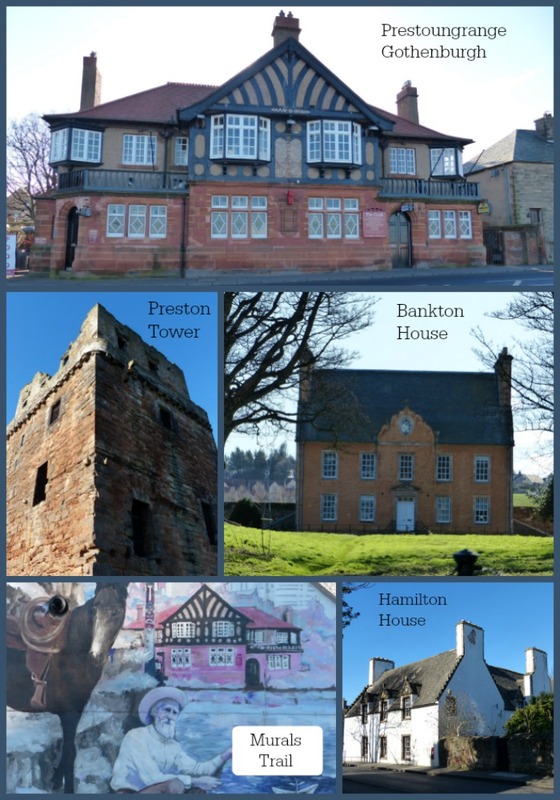 Pass Hamilton House (built in 1628) From there, find signs to take you to Preston Tower, from which local people watched the Battle lines being drawn up – although they’d have to have been up early to see the battle itself! 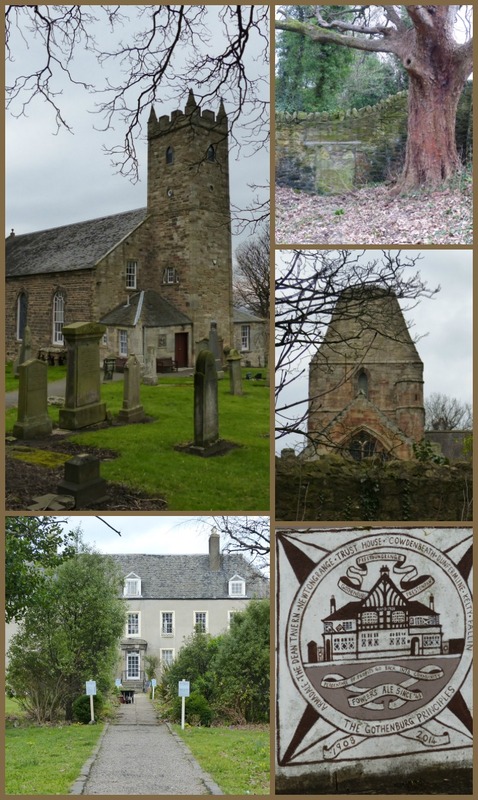 Walk towards the shore finding some of the Prestonpans Murals on the way, turn left and continue on the John Muir Way westwards in the direction of Edinburgh and you’ll find the Prestoungrange Gothenburg Tavern, where you can find local information, guidebooks and a good lunch. You can catch the 26 bus back towards Edinburgh (Clermiston direction) from here. Battle of Prestonpans Tapestry – where you can download a file and view all the panels of the tapestry. 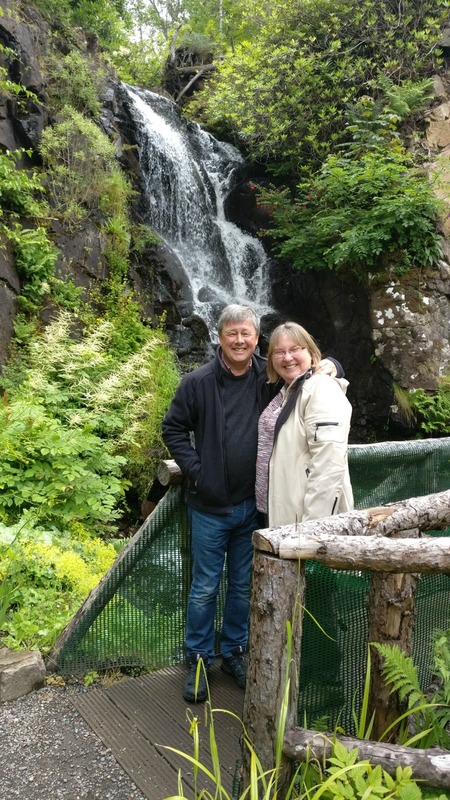 We hope you’ve enjoyed reading about our Outlander Adventures around Edinburgh, visiting East Lothian in the company of Diana Gabaldon’s Dragonfly in Amber. We’d love to welcome you to stay at Craigwell Cottage in Edinburgh as a base for your stay – perhaps at the beginning of further Outlander explorations around Scotland. Short breaks are available for 3 nights, or any longer duration – just add your desired check-in date to the Book Now area on this page to find out more.